abstract Organizations using Sahi Pro licenses can now manage licenses using a Sahi License Hub. 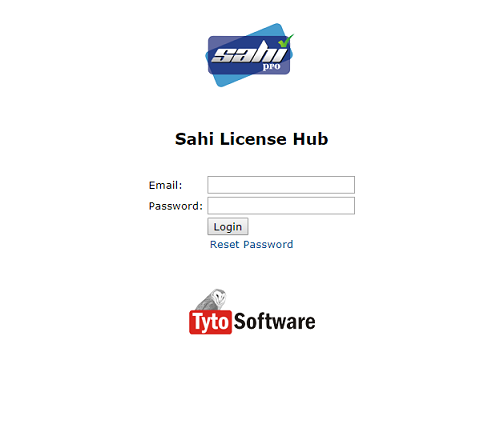 From version 8.0.0 every organization which purchases Sahi Pro will receive login credentials to Sahi License Hub. Once logged in to License Hub, the customer will be able to see all product keys purchased by them. The admin can pass on the product key to their team members who will be using Sahi Pro. The end user (who has installed Sahi Pro on their system) will need to provide their product key when Sahi Pro starts for the first time. Product keys can be of two types: User or Concurrent. User license product keys are bound to a machine. Each user will get their own specific unique key. Concurrent license product keys are not bound to a machine, but only limited number of users can work with it at any given time. There will mostly be one common key for a team. Two (2) Sahi Pro Runner licenses are provided free with each Concurrent license. For concurrent licenses, the admin can see all leases and revoke any lease if needed (in case any machine has crashed). For user licenses, the admin can bind it to another mac address if the end user's machine has changed. For more details on usage, please see below. infoNOTE: The Sahi Pro 8.0.0 and above will work only with Sahi License Hub. infoNOTE: For managing old Sahi Pro Concurrent licenses locally through Sahi Pro License Server, please refer here. You will need a registered email and password to login into Sahi License Hub. If you do not have any registered email or password yet, you can contact us at sales @ sahipro.com for any query related to Sahi License Hub. After a successful login user will get a list of licenses with all its details. A user can perform the following actions: Change MAC Address, Manage Leases, License Usage Report or Manage Access List. For User Licenses, a user's registered MAC address can be changed. Open a command prompt and cd to Sahi/userdata/bin(or click on the "Bin" link on the Sahi Dashboard). Run license_util.bat or license_util.sh to see the MAC address. infoNote: At any time of point, only one Sahi can be able to run, with a single "User License". This link will bring up a page having lists of all the Product Keys. To view Lease details of click on View Details under Action column. This shows the Sahi Pro License Usage Reports in graphical and tabular format. Sahi Pro Usage List and Sahi Pro License Denied List can be downloaded as CSV format. The Upper graph shows the monthly usage of license data as per the selected month (month can be selected from Date Picker or click on the month shown in the left panel). By default, it displays the current date reports. Suppose, A and B worked in the morning and C, D and E worked in the afternoon. So total distinct users are 5. But maximum of 3 users have concurrently used licenses, so total concurrent users are 3. This will help you understand what your usage pattern is and procure licenses next time accordingly. Light Blue colored bar: Displays distinct users count. Dark Blue colored bar: Displays concurrent users count. 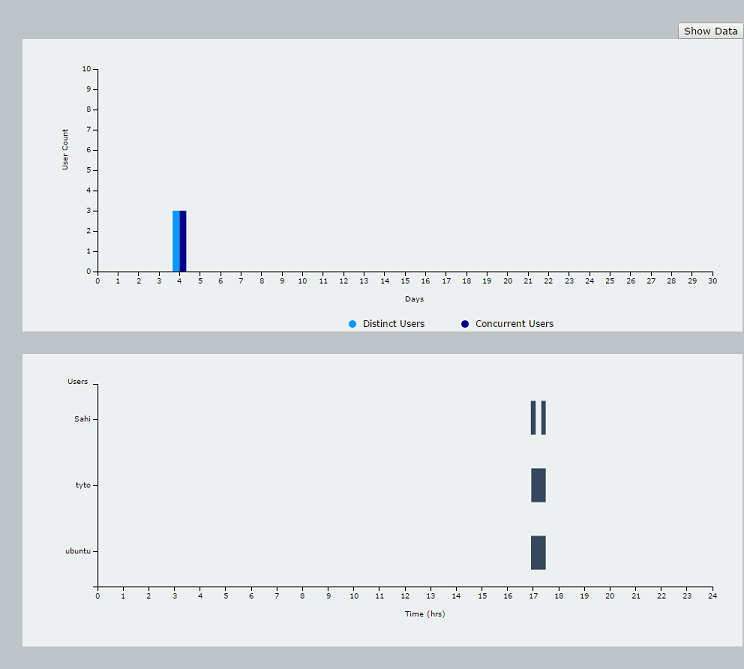 The below graph shows the daily usage of license data as per the selected date (date can be selected from Date Picker or click on the Light/Dark blue colored bar shown in the above graph). 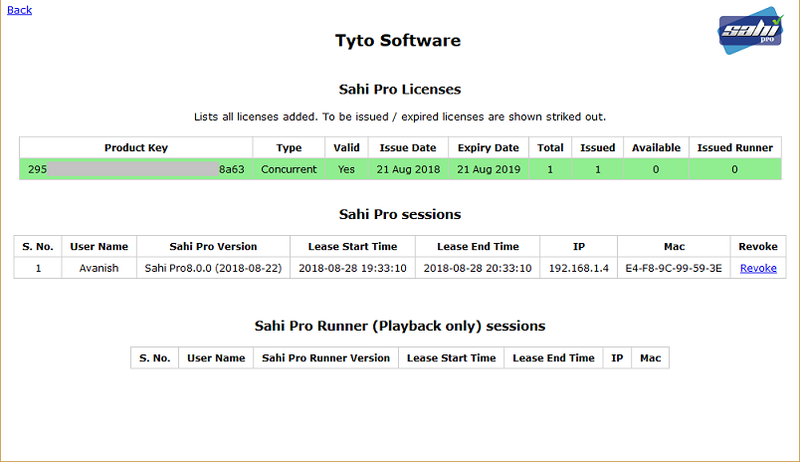 This shows the Sahi Pro Usage and Sahi Pro License Denied List in tabular format. Sahi Pro Usage List: This will show the list of Sahi Pro users who procured license from Sahi License Hub successfully. Sahi Pro License Denied List: This will show the list of Sahi Pro users who are unable to procure license from Sahi License Hub. The below images shows the list of Sahi Pro users who procured license from Sahi License Hub successfully. infoIf check-box is kept unmarked then Sahi License HUB does not store the IP Address, Host Name & OS Name of user and also don't show the daily usage of license data. By default the check-box is kept marked. 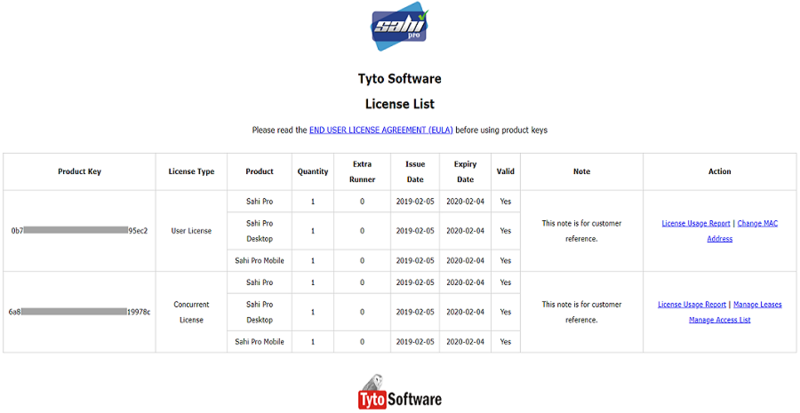 The below list show the details about why user unable to procure license from Sahi License Hub. 4001 - Invalid product key. 4002 - User is not allowed to access product key. 4003 - Issued product key will start from future dates. 4004 - Product Key Expired. 4005 - Product key is not issued for all the Sahi products. 4006 - Please use product key from registered mac address. 4008 - Could not obtain lease. All leases are issued. 4009 - User license can not use Sahi Pro Runner. 4010 - Time difference between the License Hub and the System is more than the allowed time difference. Sahi Pro Usage List and Sahi Pro License Denied List can be downloaded as CSV format by clicking on Download CSV icon (top left). 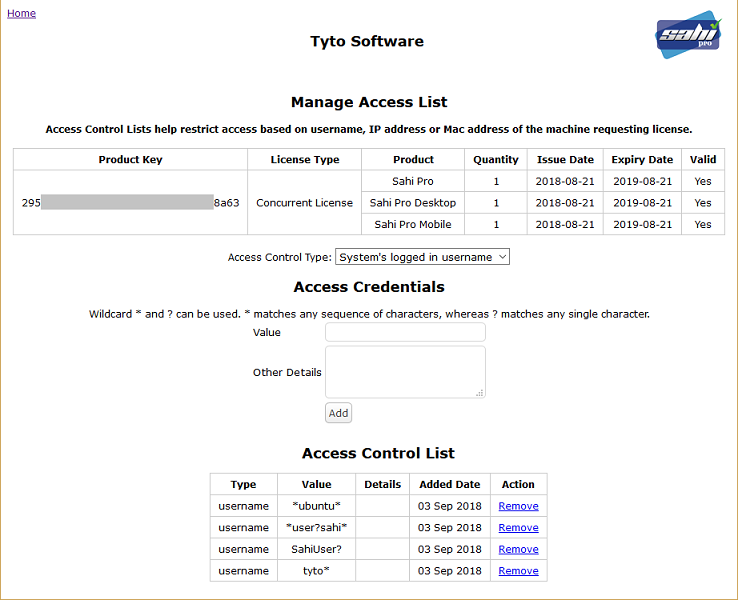 Access Control Lists help restrict access based on username, IP address or Mac address of the machine requesting license. Sahi Pro users who are added in the Access Control List can only access the Sahi License Hub and procure a license. Set Access Type: Select either none or System's logged in username or IP Address or MAC Address. none : No access type is set. Everyone will be allowed to procure a license. System's logged in username : Username of the logged in system where Sahi Pro is installed. IP Address : IP Address of the logged in system where Sahi Pro is installed. MAC Address : MAC Address of the logged in system where Sahi Pro is installed. NOTE: Access Credentials value can be a regex pattern also. Wildcard * and ? can be used. * matches any sequence of characters, whereas ? matches any single character. Example1: If the Access Type is IP Address and Access Value is 192.168.1. * Then all the Sahi Pro users whose IP Address is between 192.168.1.1 to 192.168.1.255 can access Sahi License Hub and procure the license. Example2: If the Access Type is IP Address and Access Value is 192.168.1.? Then all the Sahi Pro users whose IP Address is between 192.168.1.1 to 192.168.1.9 can access Sahi License Hub and procure the license. Access Control List: Lists all the added Sahi Pro users based on the selected Access type. Remove: Click to remove the access for that particular Sahi Pro user.